Send price drop alert notifications to notify users about price drops! We have made the best to get you the best! Send the price drop alerts to increase conversions! 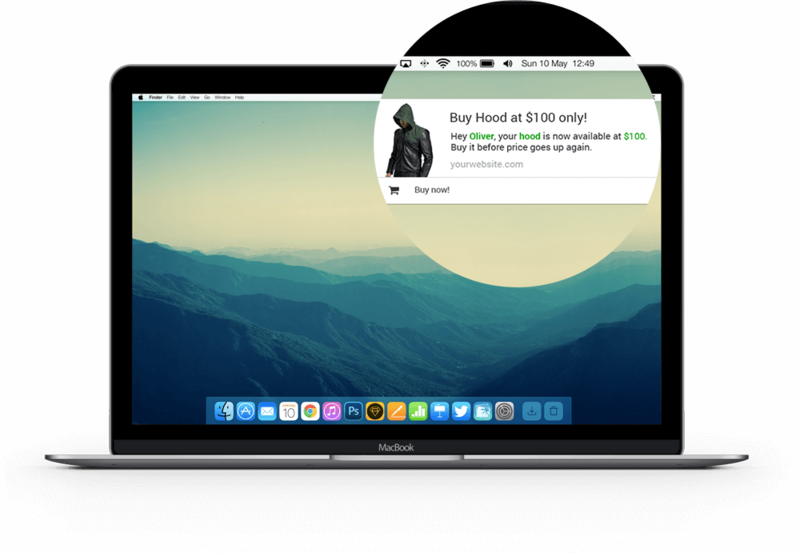 Notify your users about the price drops of your products in real time and witness a good number of instant sales on the website. Our pre-defined price drop alert push notifications are crisp, creative and concise in nature. They convey the information to the users in a fraction of seconds saving their time. While you are busy scaling your business, our executives are busy working on new updates for these notifications based on the user behaviour pattern. Sign up, enable push, choose a template and notify your visitors in just 2 minutes. Why send price drop alert push notifications? Start 14 days Free Trial, No Credit Card Required. Copyrights © 2016 All Rights Reserved by Conversion Bug Digital Marketing Pvt. Ltd.